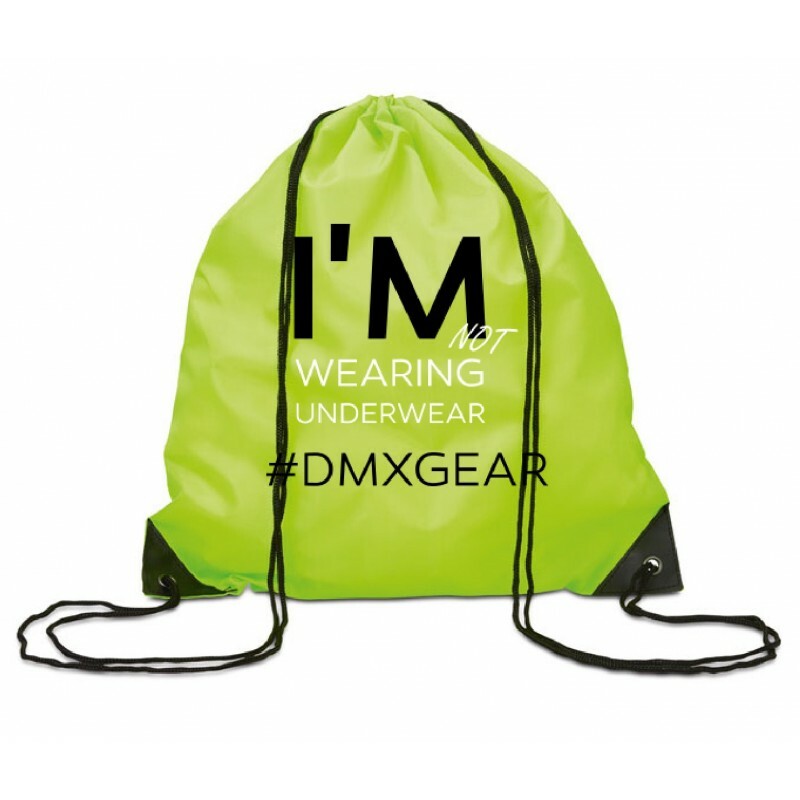 Enjoy a yellow-green drawstring shoulder backpack. One side "I'm not wearing underwear" inscription. Ideal for all sports activities outside, perfect for the gym. This very light rucksack is made of 100% polypropylene with sizes of 30 x 42 cm.